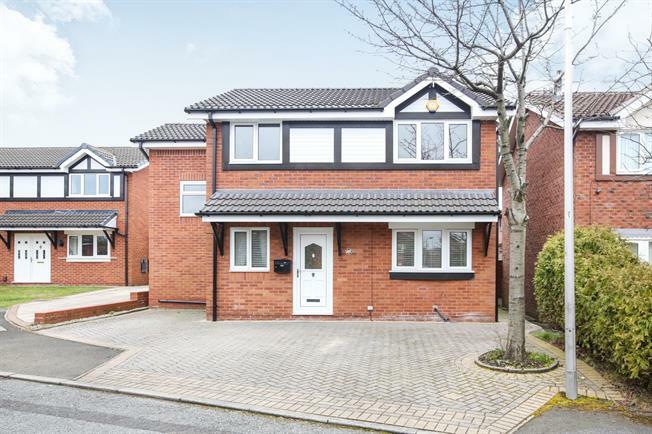 4 Bedroom Detached House For Sale in Cheadle for Offers Over £360,000. Offered with no onward vendor chain an extremely attractive and generously proportioned four bedroom detached family home. Immaculately presented open plan feel design is ready to be moved straight into including a generously built independent annex inclusive of its own kitchen perfect as study or for guests. Nestled within a popular and desirable development with large driveway and rear garden. The property comprises - kitchen with fitted appliances, lounge, dining room, utility with fitted appliances, downstairs WC, four bedrooms and family bathroom.